Koji is a mold that is at the heart of many different Japanese ferments. It is used to make miso, sake, amazake, rice vinegar, soy sauce and mirin. Koji is grown on rice or barley, which are then used as the starter culture for further fermentation.
. Just make sure that it’s koji-kin, not koji rice. 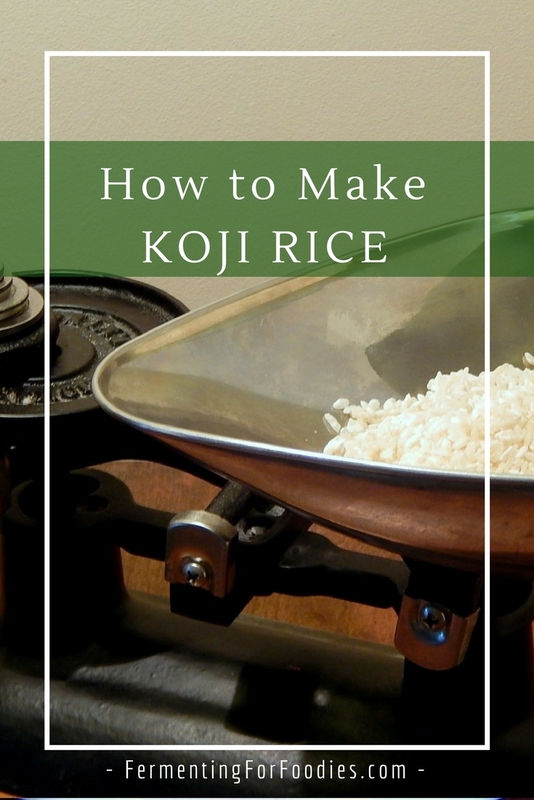 Once you have koji spores in your freezer, making koji rice or barley is fairly simple. Rinse your rice until the water runs clear (to remove all the starch). Soak your rice covered in water for 8-12 hours. Steam (not boil) the rice until it's softened, but still sticky (see notes for advice). Cool rice to room temperature. Thoroughly mix in the culture. Spread it out in a baking dish (to maintain the right amount of moisture). Cover with a damp cloth and maintain at 90 F (30 C) for 48 hours. Stir every 12 hours to break up the clumps and evenly distribute moisture. It is finished after 48 hours, when white mold fibers start to develop. (Don't let it go longer than that or it will spore). Store in the freezer until you are ready to use it. See below for incubation options and to learn how to save your own koji-kin mold spores for future batches. -Since this is a longer ferment it’s important to keep everything sterile. -You can also used pearled barley, and follow the same procedure to make barely koji. lined with a tea towel. Just boil the tea towel in the steamer to sterilize it before using it to steam your rice. which I use for all my heated ferments. 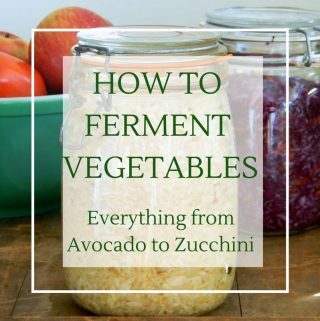 If you plan on doing a lot of fermenting, then I recommend making the investment. 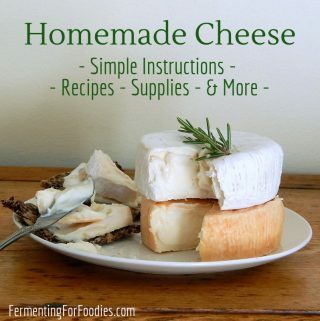 I use it for yogurt, cheese, sourdough starter and tempeh. or slow cooker that can be set to 30C is also a great option. Alternatively, you can try to grow your koji in the warmest location possible in your house. Perhaps in the oven with the light on, near a radiator or a hot water heater. The only trick is to measure the temperature as you go along, because koji mold will start to heat as it ferments. The right temperature is important because if it’s too cold your mold won’t grow, and if it’s too hot you will kill the spores. Making koji-kin is easy. All you need to do is allow the koji mold to continue growing until it spores, then collect those spores. You will know that the koji-kin has spored when your koji turns from white to green. The green colour is the mold spores. Once your koji is green, then remove the damp towel, and allow the koji to dry out. When the koji-kin has dried out, store it in the freezer for future batches of koji. When culturing future batches of koji, you only want to use the green powdered mold, not the rice, so sift the mold off of the rice before use. Hi Paul, I do have that Brod and Taylor. Though I’ve never put water in the tray, I use the proofer to cook my koji rice… and pretty much every ferment! It’s good at keeping a reliable temperature. Would be grateful if you could answer a couple more questions. The koji kin has arrived and just about ready to embark on my first ever rice koji. Re the baking tray- do you have to have a stainless steel tray or would a non stick tray be ok? Regarding other ferments do you put the glass containers in the Brod and Taylor for your ferment? There is a very quick recipe for Miso – it’s from the good british chef’s. They make it in 5 days. I have made it and it is quite light but tasty. Hi Paul. You could use a non-stick tray. I haven’t tried it, but it should work. I would put the containers for koji rice in the Brod and Taylor, but not miso. 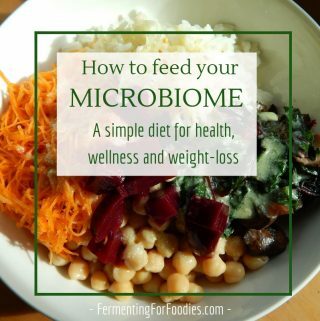 I usually leave miso in a cupboard to ferment (because I leave it for 6 months!) Interesting about a quick miso. I might try that next time. Thanks again Emillie. Really appreciate your help. Thanks again for your help Emillie. I thought you may have had to use a stainless steel tray. I have made miso using the 5 day recipe from Kuvings. Thanks again Emillie. I thought you may have had to use a stainless steel tray. Yes, the quick miso recipe is an interesting one. It appears in a Japanese recipe using the Kuvings Yoghurt/ pickle maker. As I said it is light but I find it ok. Thanks! I’ll look out for that. No… the risk of contamination is too great. Rice can contain Bacillus cereus which will cause food poisoning. You can buy koji online or at a Japanese grocery store. Hello! I’m very much looking forward to making my first batch! If using a dehydrator, would we still want to cover the tray in a damp towel? If the dehydrator has a fan, should we turn off somehow? I’m a bit nervous about using it and wondering if it would be better to use the oven-light method instead. Thanks! I have the same proofer. Though I’ve never added water to the little tray. I think that’s mostly for proofing instant yeast bread. I LOVE my proofer. Hope it works for you! I already have rice populated with Koji that I’ve ordered from a Miso company I really like. Is there a way for me to propagate the same culture using the existing grain? My initial thought was to grind up a quarter cup or so into powder and use that as the starter. The koji rice will be too diluted for a good culture. You need to collect koji spores. 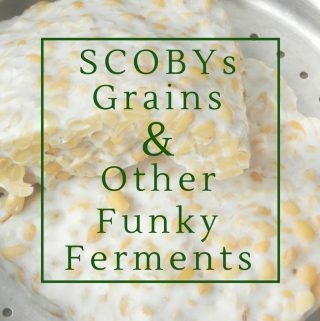 So culture your rice, and allow it to continue fermenting until the mold spores (usually about 48 hours into the ferment). At that point you can collect the koji kin spores from the rice (or just grind up the rice). I have a bag of dried koji rice. How should I culture it? Jus soak in water? If you are wanting to make koji kin, continue fermenting for up to 48 hours, then skim off the sporing mold from the top of the rice. Thank you Emillie for your advice. I just tried today by putting 1 portion of the dried koji rice, one portion of cooked rice and water enough to soak them and put in an air tight container. Now i just have to wait for 48 hrs to see some spore. Did that sound right to you? Are you able to maintain the heat? If not, then it might take longer to grow. Also, I wouldn’t have the container air-tight. Just keep a lid loosely on so that it keeps the moisture in. Let me know how it goes! I have had success with the Brod & Taylor proof box. The koji tray is supported above this by some cans of tomato paste at the periphery of the ”lower” level. I was able to harvest about 500g. Great! Glad it worked for you. Not sure how to make rice less clumpy. The rice needs to be sticky. Thank you Emillie for this great recipe. Can koji rice be made with brown/ red rice? after only 24 H my rice get totally wet soaked ! , it tastes sweet and has a good smell , but is nothing like it should be /see from pictures the more i leave it the watery it get , what do i do wrong ? Hum, I don’t know, since I’ve never had that problem. The steamed rice should be quite sticky but not wet. And the only additional water is from the damp cloth. It should taste sweet. So maybe just leave it with a dry cloth, or stop there? HI there, ever use the yogurt setting on an insta pot? I was thinking about trying that? I don’t have an insta pot, but I’m sure it would work! The only reason why it might not be the best, is transferring the yogurt from the insta pot to containers for storage will probably cause a bit of separation (yogurt from whey). I’m not sure how the insta pot works, but I have nested jars of yogurt with lids on in my slow cooker. Then poured water halfway up the jar, and kept them warm that way.